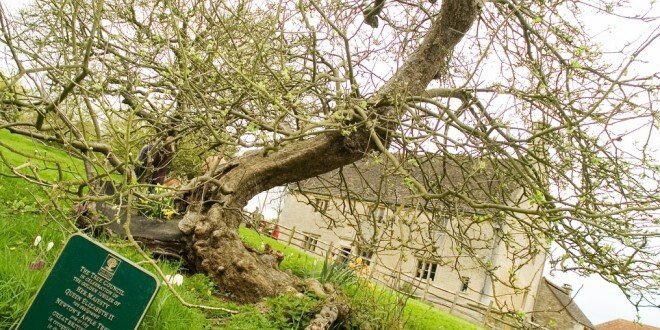 The apple tree, planted circa 1650, at Woolsthorpe Manor in Lincolnshire, England, the ancestral home of Sir Isaac Newton, is designated one of fifty great trees honored during the Golden Jubilee of her Majesty Queen Elizabeth II. The Jacksonville University family celebrates the life and legacy of Dr. Pam Crawford Thursday, March 21 at 3:30 PM in the Terry Concert Hall on campus. 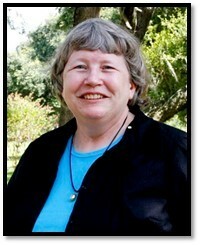 The sudden loss of Dr. Crawford came as a shock to many who knew and loved her. Dr. Crawford was a caring, dedicated colleague, educator, and mentor, who served as Chair of the Department of Mathematics and as the University’s liaison for the Southern Association for Colleges and Schools Commission on Colleges. Originally from Pennsylvania, Dr. Crawford earned her B.A. and M.S. from Lehigh University and her Ph.D. from Western Michigan University. Honored as the Jacksonville University 2015-16 Professor of the Year, she was passionate about complex variables and the teaching and learning of collegiate math. Her love for the history of mathematics took her to England, where in 2009 and 2018 she investigated historical mathematical sites and artifacts, including Newton’s apple tree. She also was proud to publish a joint paper with Drs. Moseley, Nancarrow, and Ward on Calculus Challenges: An Active-Learning Approach in PRIMUS (Taylor & Francis, May 2018) and a chapter in the volume Doing the Scholarship of Teaching and Learning in Mathematics (MAA, January 2015). Dr. Crawford’s two decades of service at Jacksonville University marked a deeply-held commitment to learning and service. Her leadership and passion shone brightly. While the Dolphin community mourns, the University also honors her life and work by reflecting on the lasting impact one individual can make in the lives of students, colleagues, friends, and family. The Crawford family welcomes expressions of remembrance. In lieu of flowers, contributions may be made in honor of Dr. Crawford to the Dr. Pam Crawford Mathematics Scholarship Fund at Jacksonville University. Scholarship contributions may be made online here.